If forecasts by the SA Reserve Bank for a lower inflation outlook were to materialise, interest rates would likely remain steady, Momentum Investments economist Sanisha Packirisamy said on Friday. Headline inflation dropped to the midpoint of the Reserve Bank's 3-6% inflation target in December 2018, sparked by a significant cut in fuel prices. 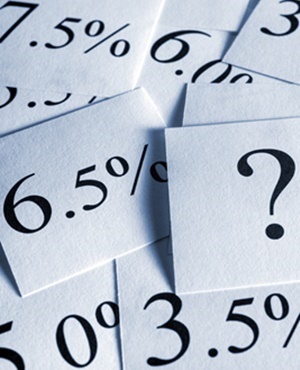 According to a statement issued by Packirisamy and Herman van Papendorp, head of investment research and asset allocation at Momentum Investments, several factors pose an upside risk to the SA Reserve Bank's (SARB) inflation forecasts. These include administered price shortages in the international oil market; administered price pressures; geopolitical tensions; trade war risks; a negative shift in sentiment; and unfavourable domestic political developments. Should these risks materialise, they argue, a further modest tightening in monetary policy would be warranted. "Given that the influence of SARB over administered prices through monetary policy is relatively limited, an argument can be made that the current monetary policy stance is appropriate," Packirisamy commented. "However, SARB has reiterated its intention to bring inflation expectations closer to the midpoint of the inflation target range in order to create more flexibility in monetary policy to deal more effectively with external shocks." According to the statement, although fourth-quarter data for inflation expectations - surveyed by the Bureau of Economic Research (BER) between October 30 and December 4, 2018 - showed a slight downward shift in the average five-year ahead inflation expectation from 5.5% to 5.3%, the disaggregated data showed a different picture. The decrease was largely driven by a downward revision by analysts from 5.3% to 5.1% and a cut in forecasts by trade unions from 5.3% to 5.2%. "However, the expectations of the price-setters in the economy - namely businesses - kept their forecasts unchanged at 5.7%," said Packirisamy. "Similarly, near-term forecasts for 2019 and 2020 were revised lower by analysts and trade unions, but remained elevated for businesses at 5.7% for 2019 and 5.8% for 2020."